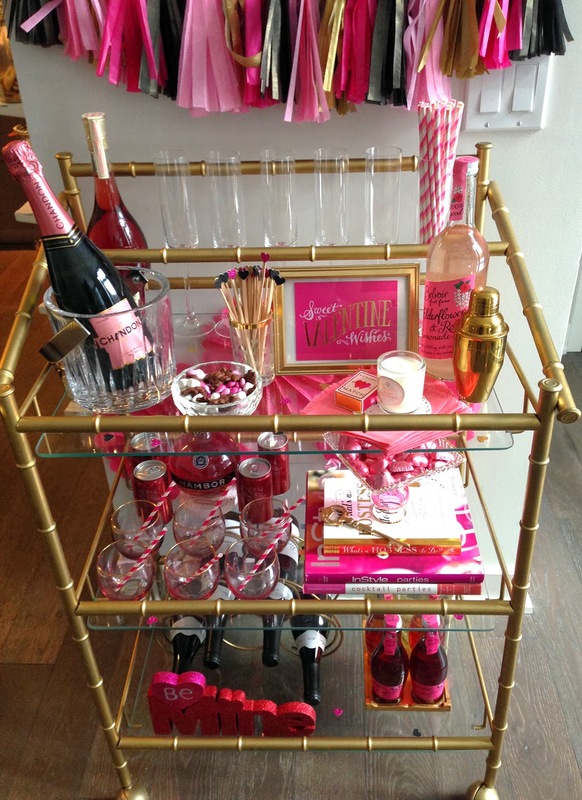 Imagine my delight to have an excuse to dress my bar cart in ALL PINK. 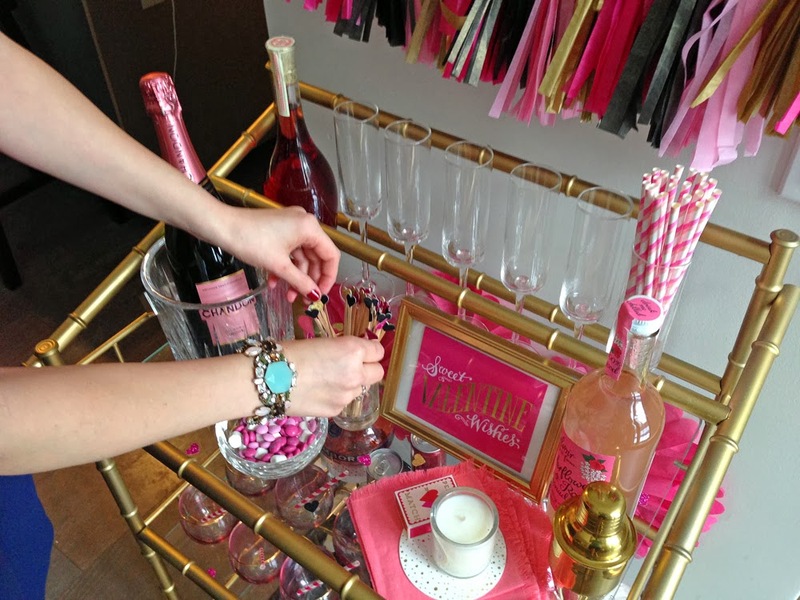 Since I knew we were going to be entertaining a lot in the month of February - with a girlfriends' crafternoon, the No Name, New York filming, and a few double-date dinner parties - I decided to style the bar cart well in advance in the holiday. 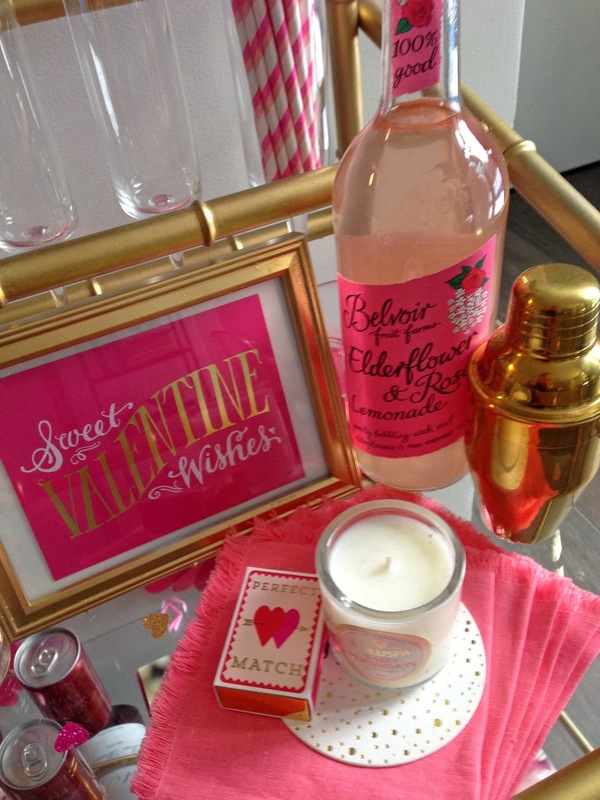 As in, on January 20-something. So for those of you on Instagram who thought Feb 4 was early for Valentine's baking, it's a good thing you didn't come by my apartment! 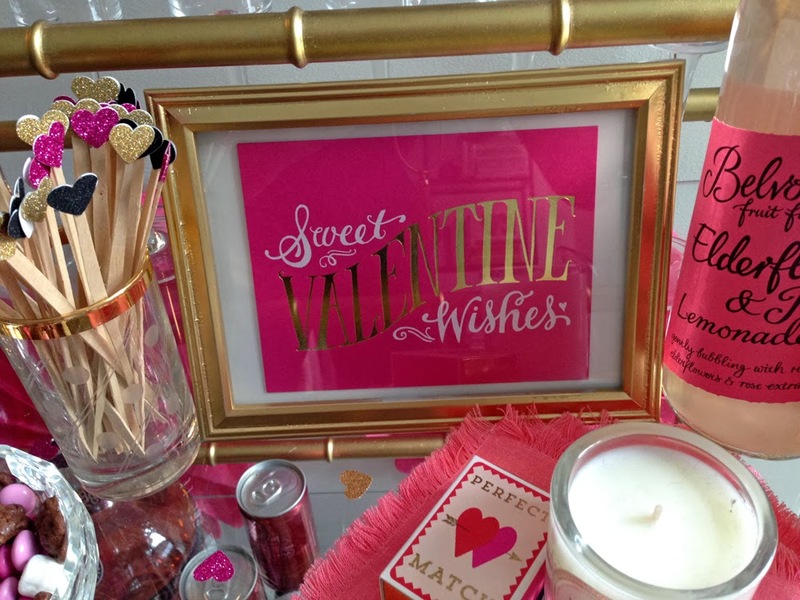 Those glitter heart swizzle sticks were a DIY project - I'll be back tomorrow with a tutorial! 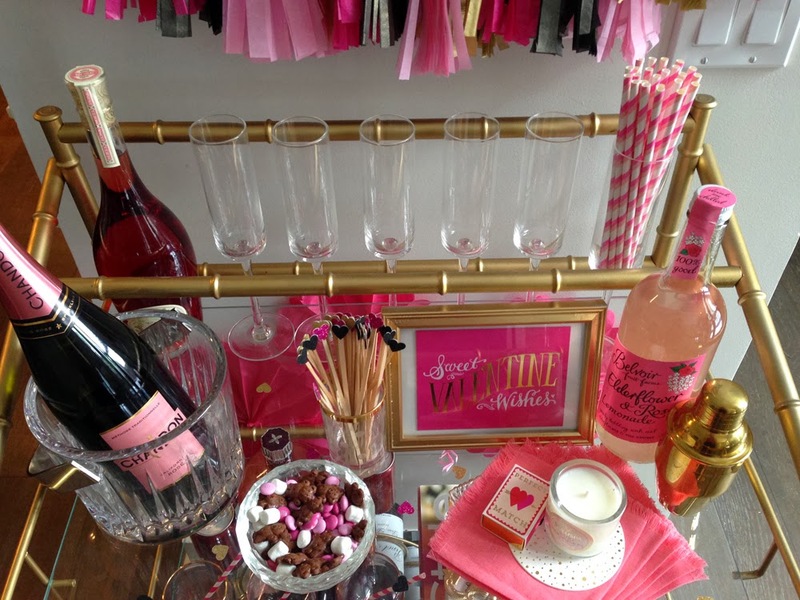 And for more Valentine's inspiration head to my Valentine's Day Pinterest board.